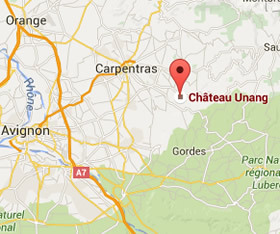 In July there are two chances to really enjoy Chateau Unang – the beautiful domaine, the wine and delicious extras! 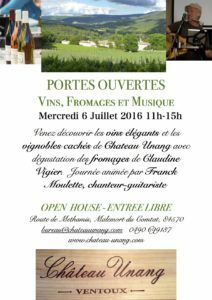 On the 6th July between 11h and 15h we are holding a Open House – which anyone can attend, for free, no reservations needed – just come and enjoy a very relaxed and spoiling moment or three with good wine, good cheese, and chilled music. There will be at least 6 of our wines to try, their perfect partners in cheese from Fromagerie du Comtat and music from Franck Moulette. On the 12th July we will be having our annual musical soirée. This year we are very lucky to have the English Chamber Choir, who will be performing a wide variety of different music, in different locations over the evening. 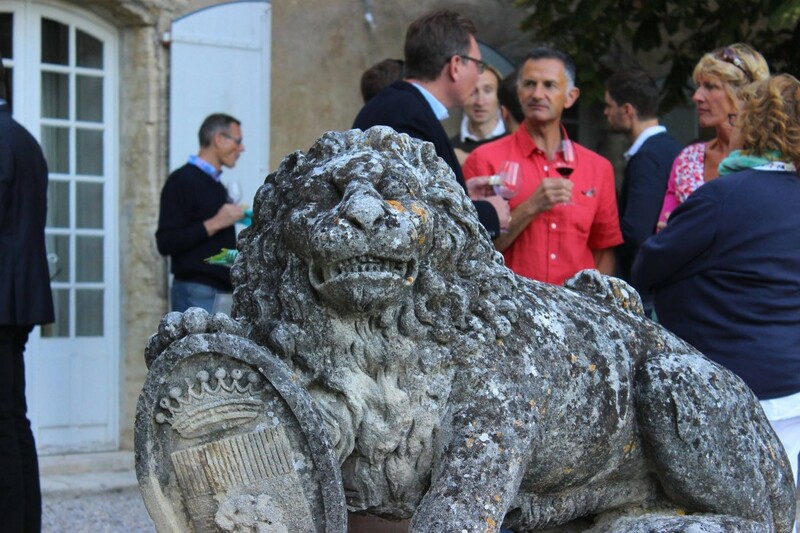 The evening will start at 19h at the cave, and will be followed by a walk through the vineyard to the terrace of the Chateau where we will taste the rest of our wines, eat delicious cheese and listen to sublime music. The cost of this evening will be €20 per person, with children under 16 for free, and reservations must be made in advance. 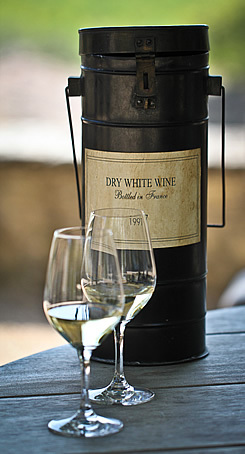 (Call the cave on 0490 699137 or email info@chateauunang.com).